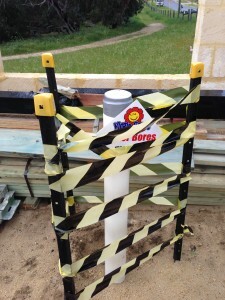 First let’s take a look at where is best to drill your bore. 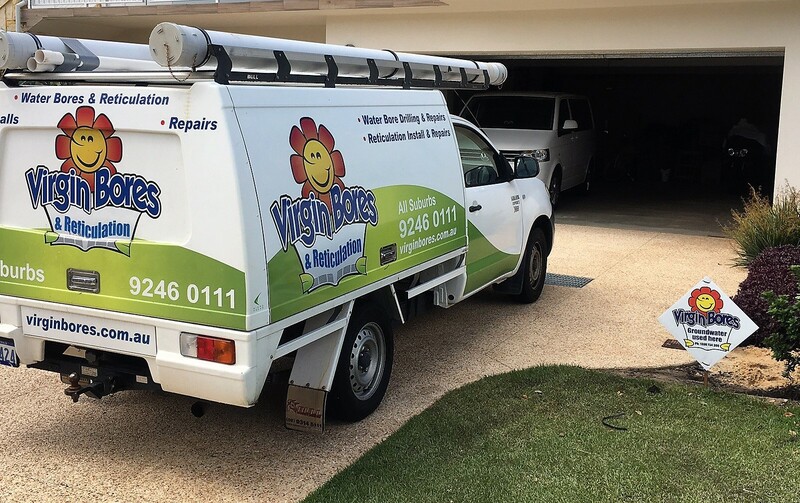 Prior to scheduling your job in at a time convenient to you Virgin Bores will first visit site. This may have already happened if you had an onsite quotation. During site visit we discuss the proposed position of new bore (avoiding underground services), pump size to be compatible with your existing or planned reticulation and optional reticulation and electrical connections. We listen to want you want and advise on how we can best achieve the desired result. 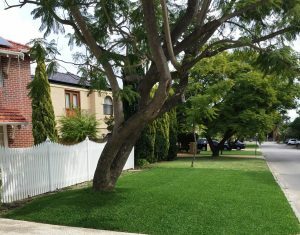 We will then contact you to book in a start date. We a will arrange a day for the drill team to drill your new bore. Prior to drill team attending we may have some bore-casing and bagged drillers gravel delivered to site. 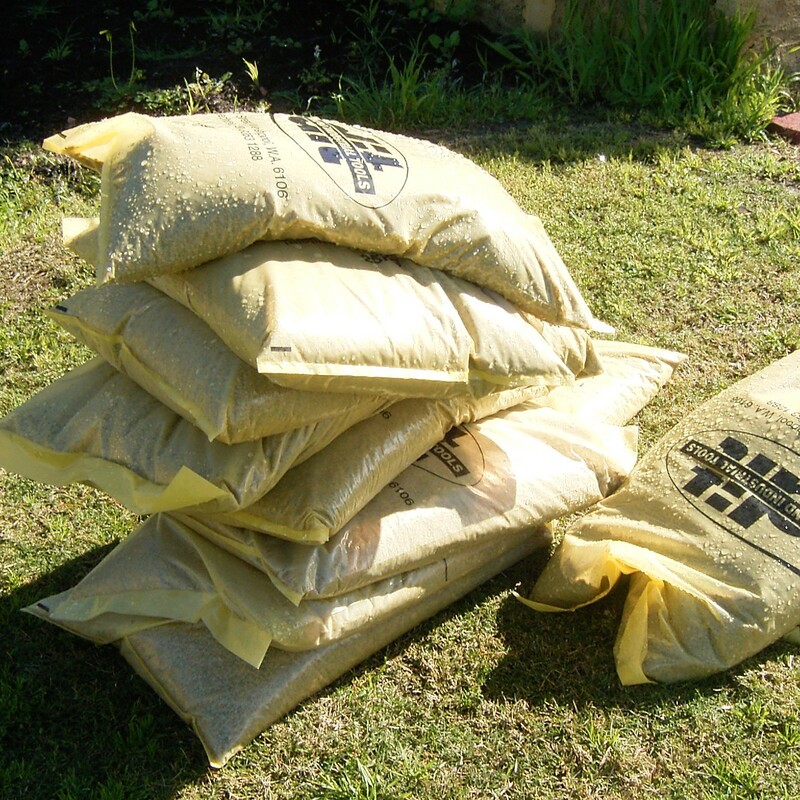 Bags of graded drillers gravel ready to pack around the slotted bore casing as a primary filter. 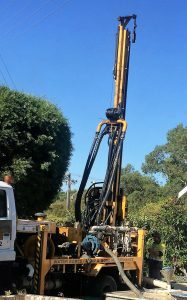 Depending on access and ground conditions the drilling rig will most commonly be truck-mounted but sometimes trailer mounted or even the small portable “fly rig” if called for. 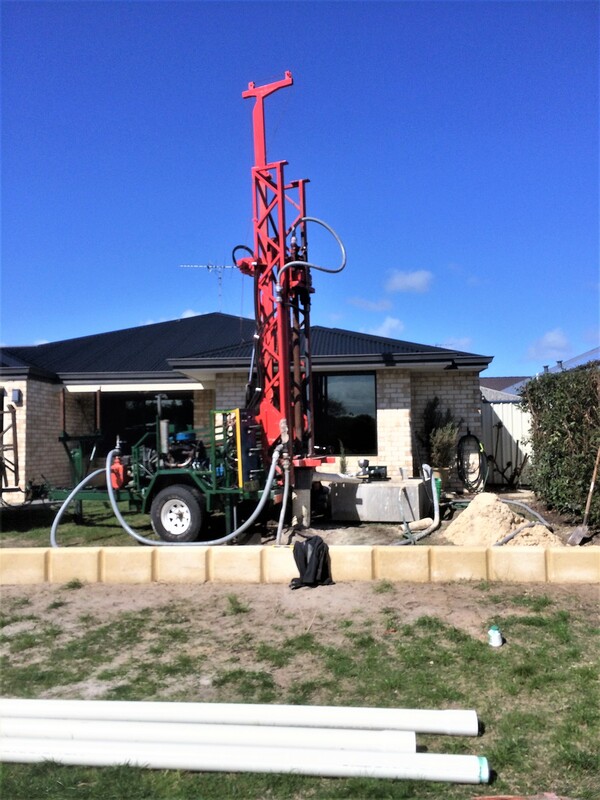 Rotary mud drilling uses a recirculating mixture of drilling fluids to flush the drilled “fines” to the surface as we drill your hole. 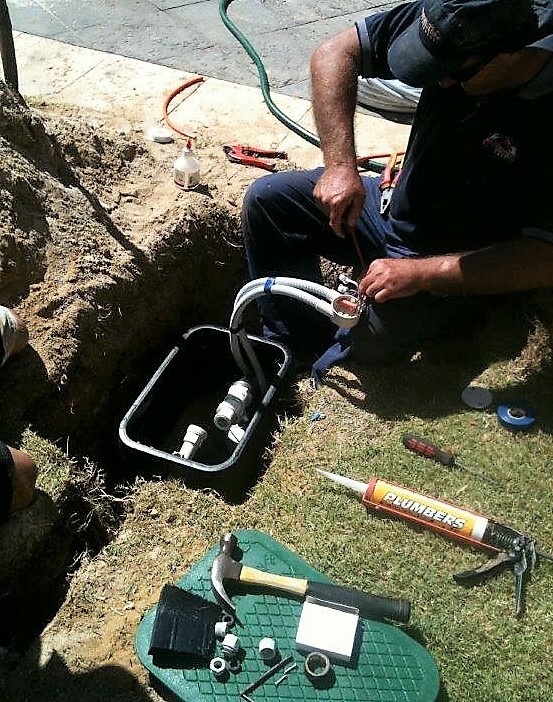 We are licensed to connect to the local off-street water valves (fire hydrants) if required. 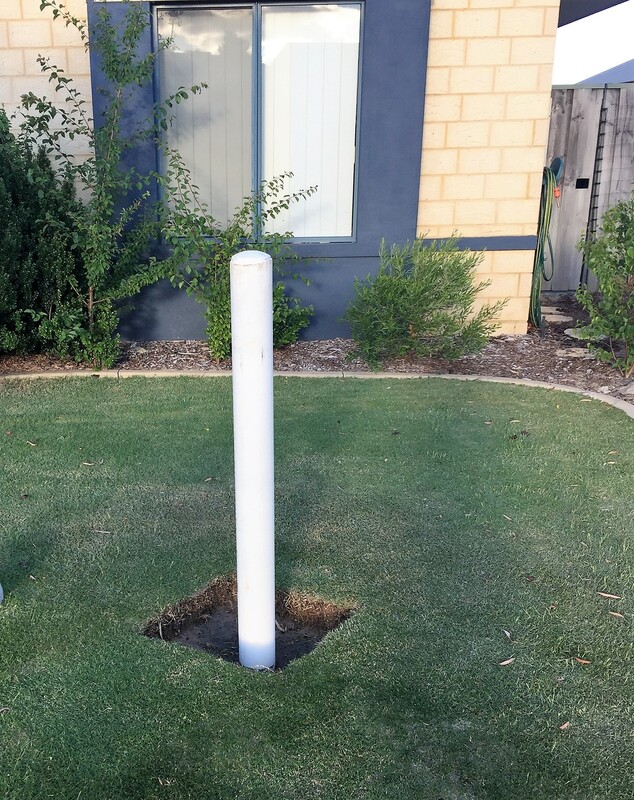 After drilling the bore it is cased with class 9 PVC bore casing with the bottom portion being finely slotted to allow the groundwater in. Finely slotted Class 9 PVC bore casing is usually used for the bottom 6 metres of the bore. Around this slotted casing we pack drillers gravel to act as a primary filter. For those keen on the detail and the importance of gravel packing you can learn more by taking a look a here. 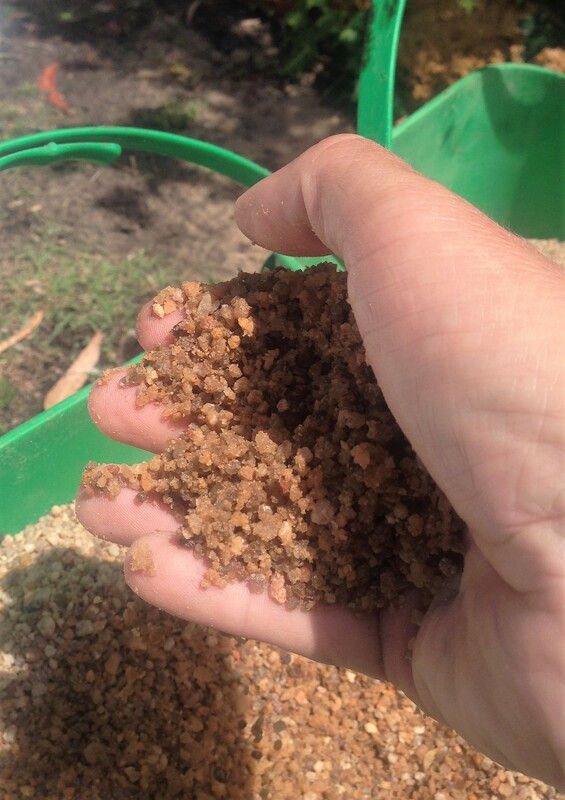 Genuine drillers gravel is graded and washed coarse river sand. After completion of the drilling, casing and gravel-packing we then air-develop the bore hole. This is the first exciting bit to watch. 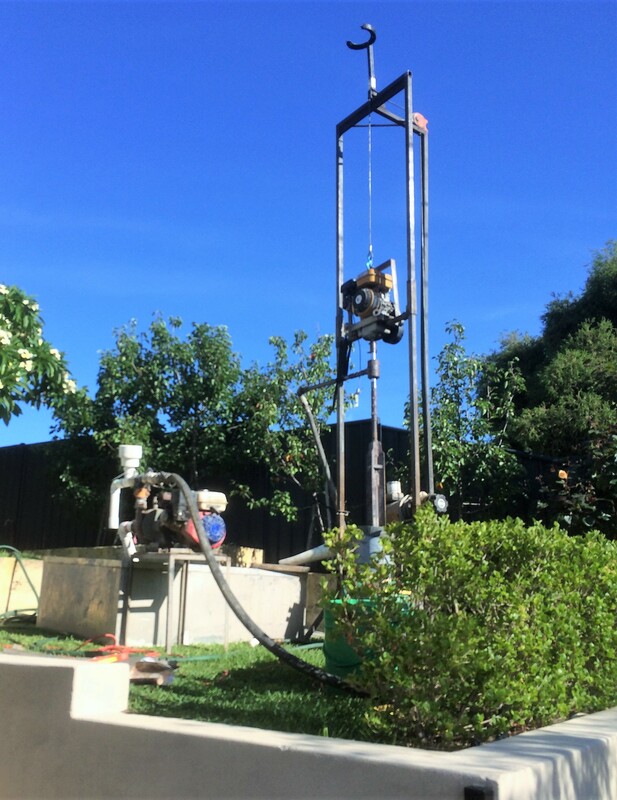 Prior to your pump being installed we force compressed air down the borehole to flush out our drilling muds and develop the groundwater flow. 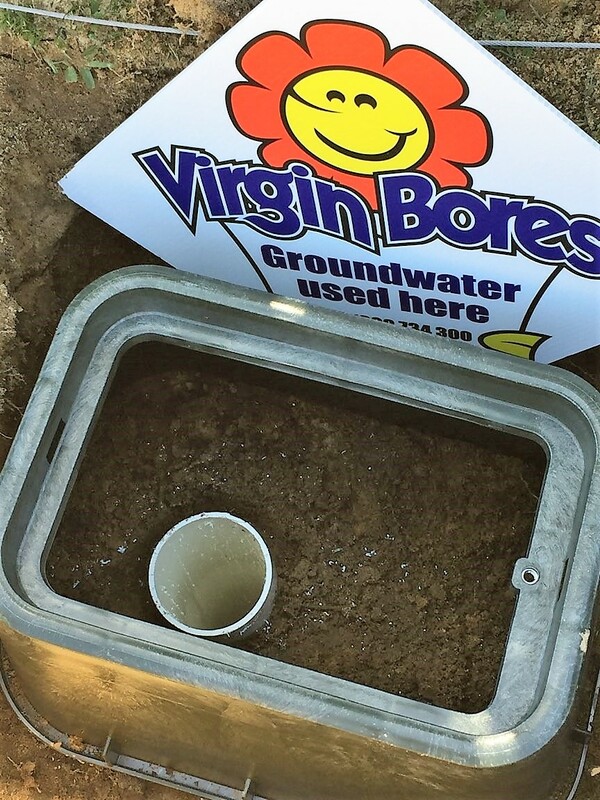 Compressed air alone is used to force the groundwater to the surface and after our drilling fluids have been flushed you’ll soon see natural groundwater coming to the surface! You can learn more about air developing here. At the end of step one the bore casing is left sticking out of the ground and the top of the bore casing temporarily sealed. 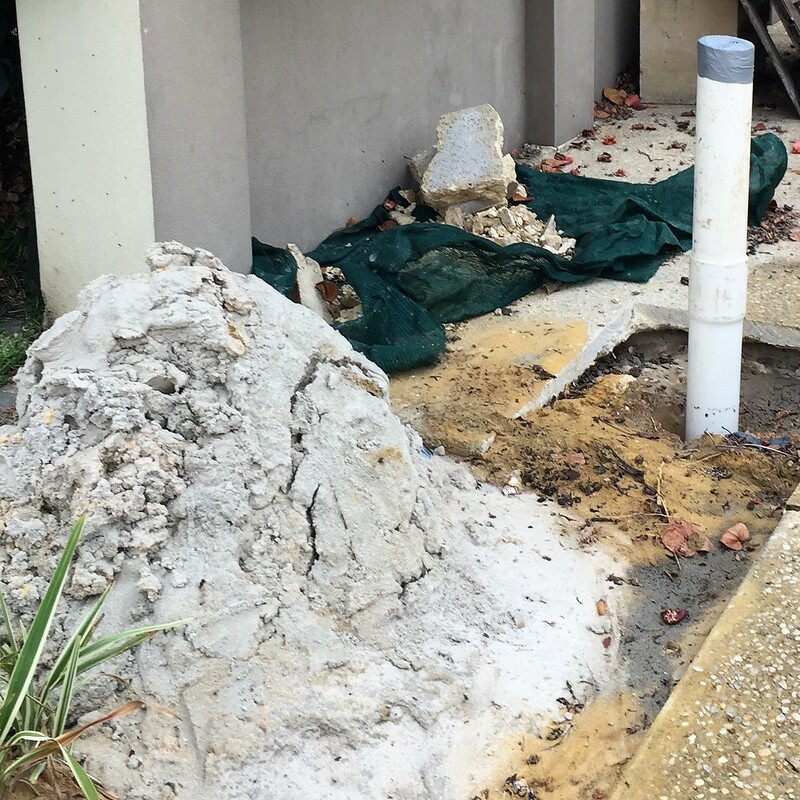 The bore casing will be cut down to under the level of the paving when the submersible pump is installed. 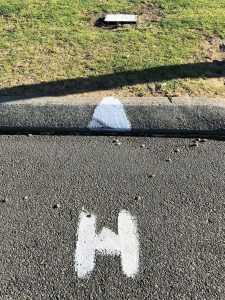 It will then be paved over. This bore was drilled on a building site whilst access was still OK. The casing has been protected by the builder untill it is cut down when the pump is installed in probably a years time. 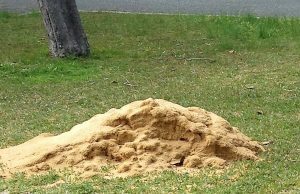 You are left with a pile of drilling fines and waste, sand etc. unless you have elected to have a mini skip onsite. 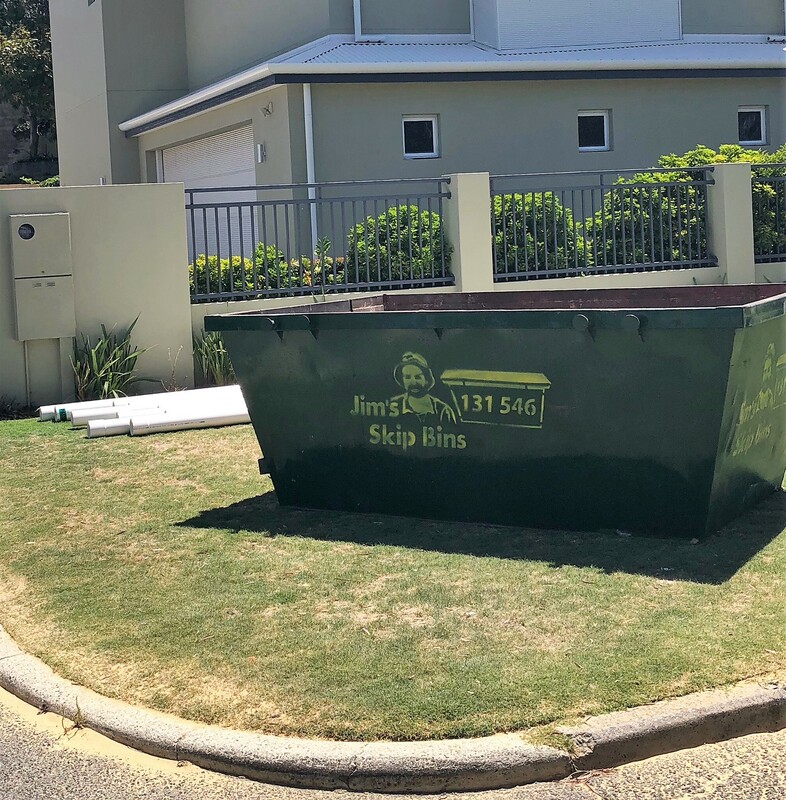 We can organize skips and oncharge if requested. 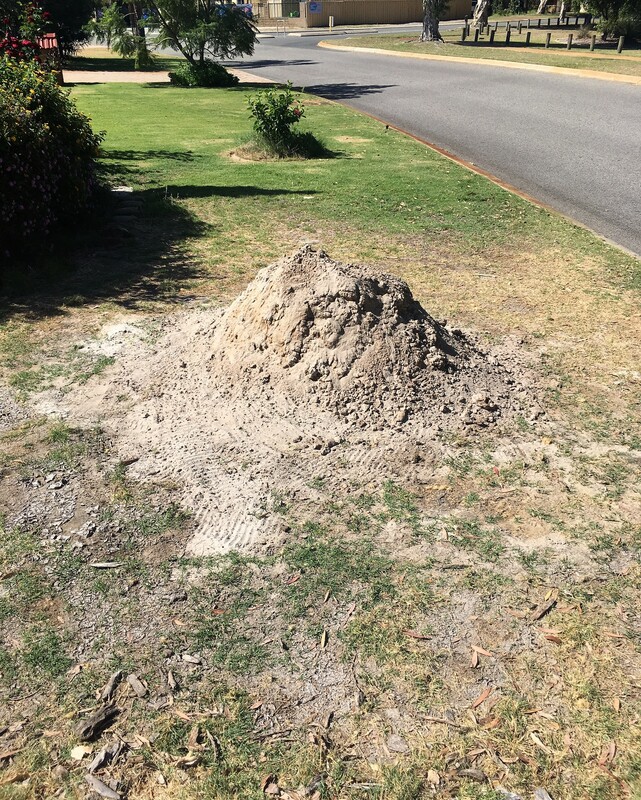 The size and composition of the pile varies depending on depth and ground conditions. 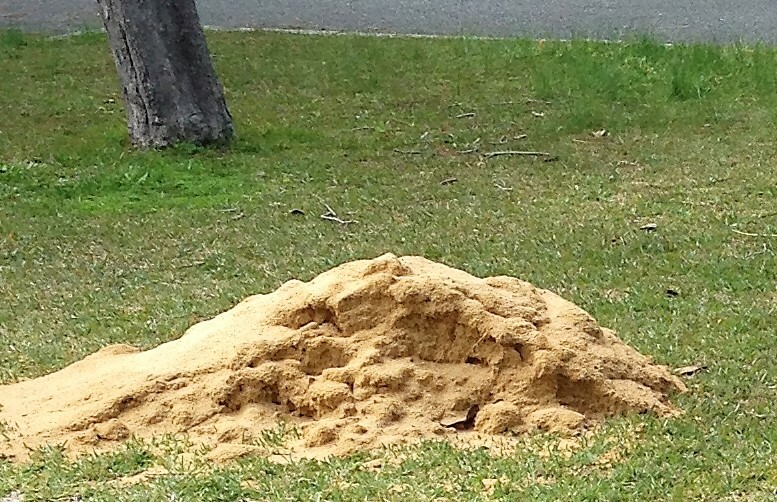 The pile is normally between .5 and 1.5 cubic metres. It is comprised of the drilling fines- normally sand, ground limestone and sometimes clay along with some residue drilling fluids. 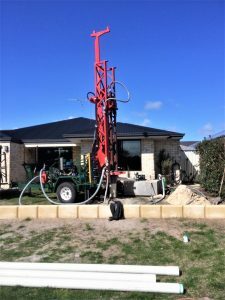 Normally the pump is installed a day or two after drilling. (Sometimes though, with building sites you may elect to hold off step two onward until closer to handover of house when power is connected to dwelling). First the installer cuts the bore casing down below ground level making provision for the bore box to fit over the top at the end of the job. 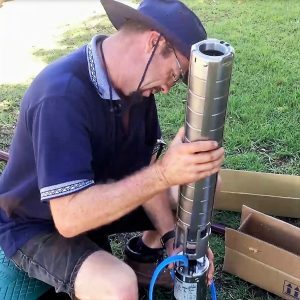 Then the submersible pump and submersible motor are assembled together. The pump wet-end contains the impellers which drive the water to the surface. 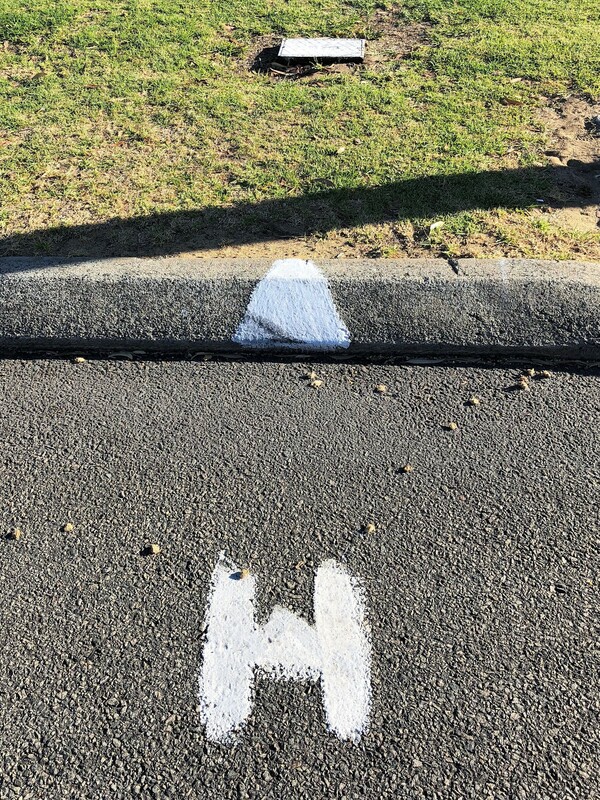 This is selected to match the flow required. 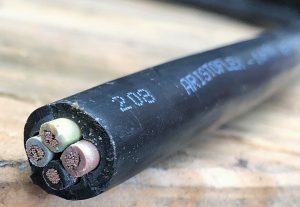 A special rubberized bore cable is joined to the motor lead using a double heat shrink kit as the join will spend its life under water. 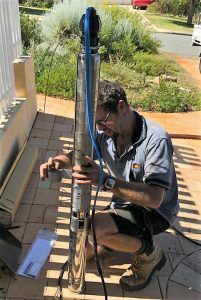 The pump and motor are lowered inside the borec asing and suspended near the bottom with the weight born by a stainless steel safety wire. 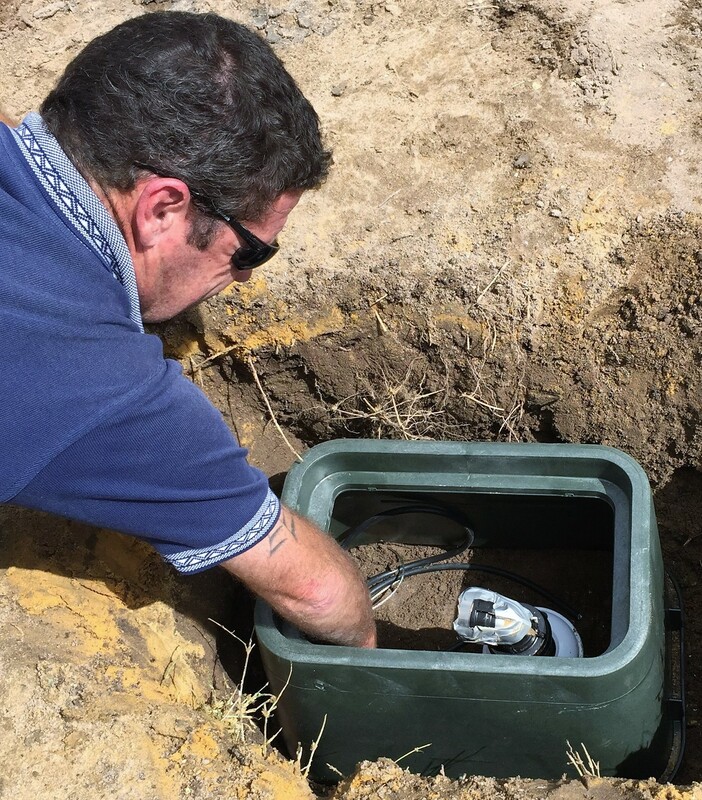 The electrical cable is left coming up from the pump motor to the surface unterminated ready for the electrician. 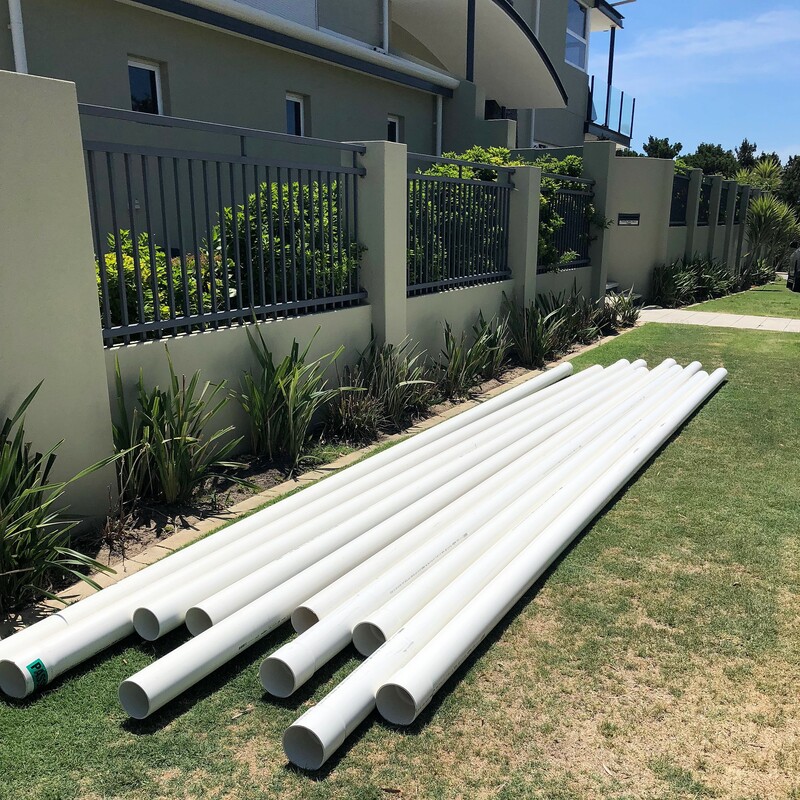 The water will be delivered to the surface by a 40mm rural grade poly pipe also hanging inside the bore casing and elbowing off at the top ready to be connected to reticulation or taps. 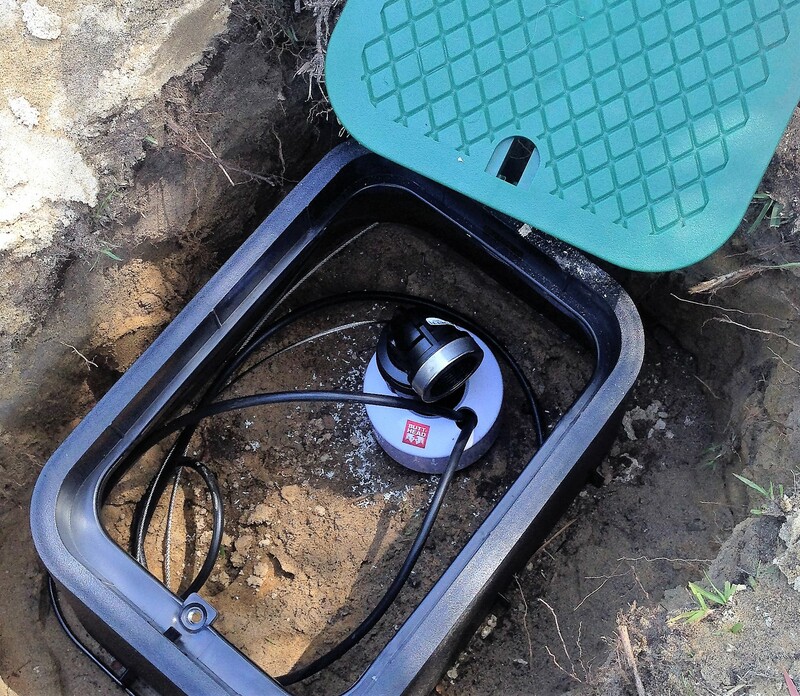 Once connected up the green lid will cover the bore box buried just below the surface. 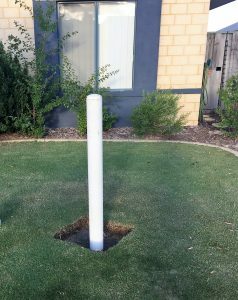 Normally the top of the bore-box is positioned to be about 100mm under the lawn, garden bed or pavers. 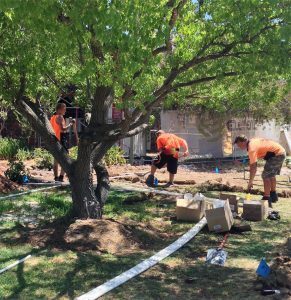 Lawn, garden or pavers often cover over a submersible bore. 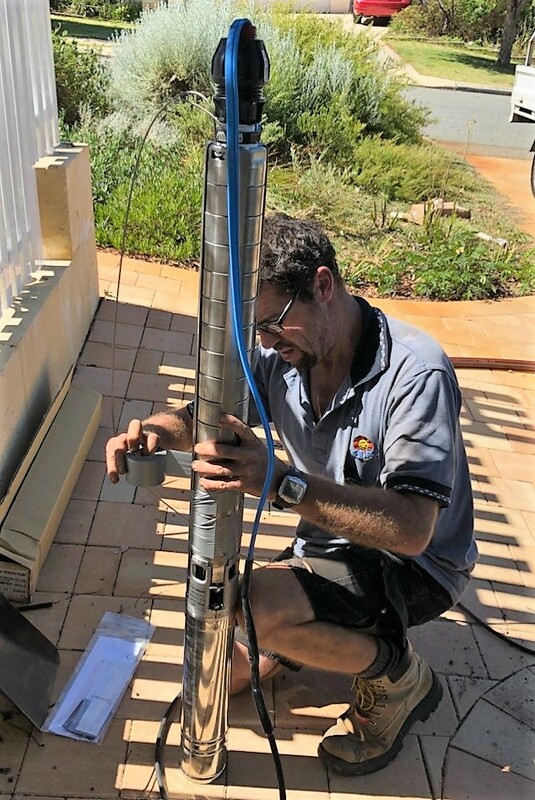 Connection from bore head to house power must be performed by a licensed electrical contractor. Some clients choose to use there own electrician or we have contract electricians who specialise in bore installations. 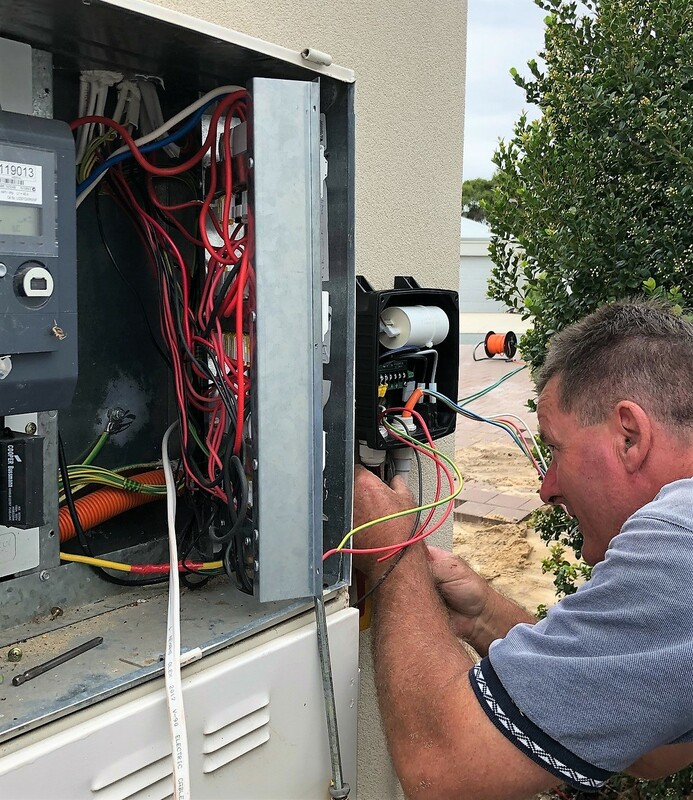 If you have elected for us to organize the electrical connection and oncharge to you then our electrician will contact you to schedule in a convenient day. Trust only a licensed and experienced electrician to connect your new water bore. 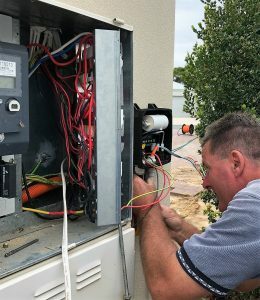 Ordinarily the electrician will need access to the cabinet containing your circuit-breakers, your reticulation controller if you have one and sometimes your roof-space to run cables. 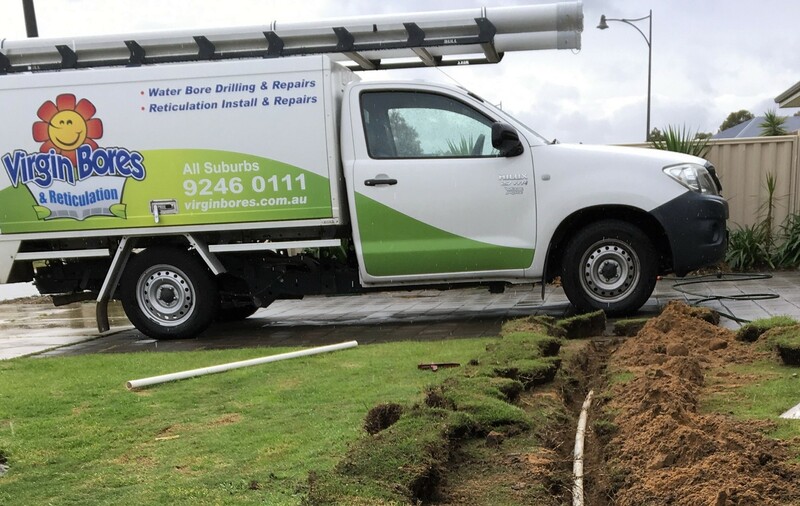 If your bore is to be connected to operate from an existing reticulation controller then this is done by low voltage cables and a 24v relay. 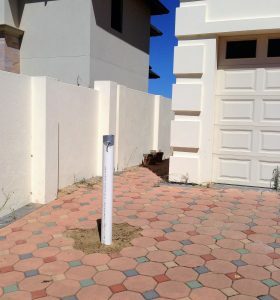 The bore box will be covered over hidden under lawn, garden or paving. Once the bore is connected electrically now the really exciting part. The bore is turned on and after a few seconds delay as water travels up to the surface for the first time….BINGO… watch as natural free water gushes out! 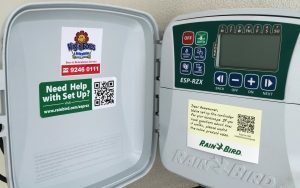 Reticulation controllers can be wired to start the bore automatically. This garden flourishing with reticulation fed from a VIrgin Bore. 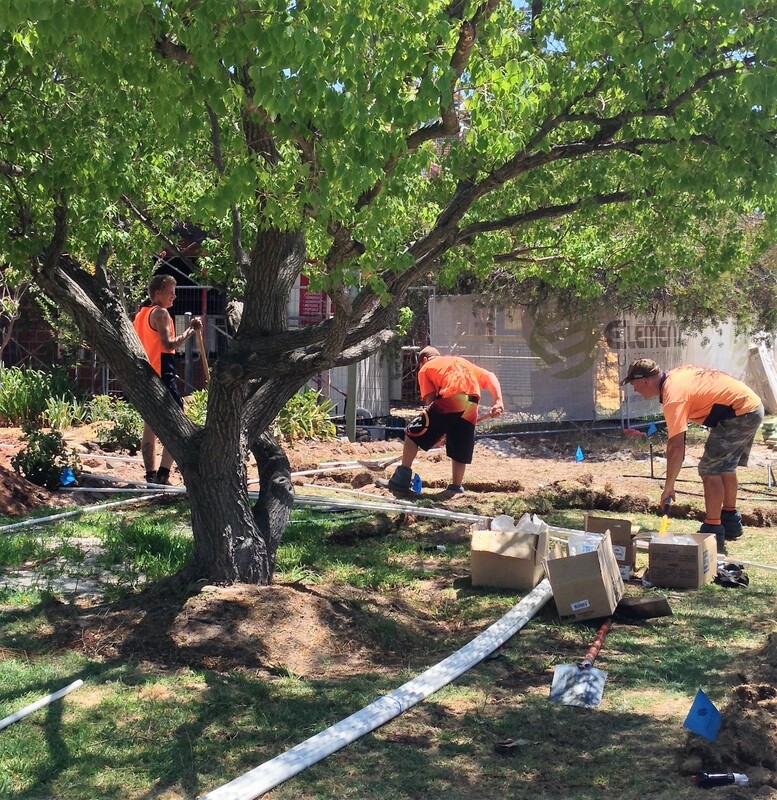 If part of our agreed scope of work is to connect to your existing reticulation system then this is the final step. Last step is to make sure bore is operating correctly and do a final tidy up and handover. We will contact you and schedule a day for any reticulation connection, but only after your electrical connection has been done by our electrician or your own. Your existing reticulation water feed is disconnected from the mains water supply (normally the existing connection is near your front water meter) and connected to the bore. 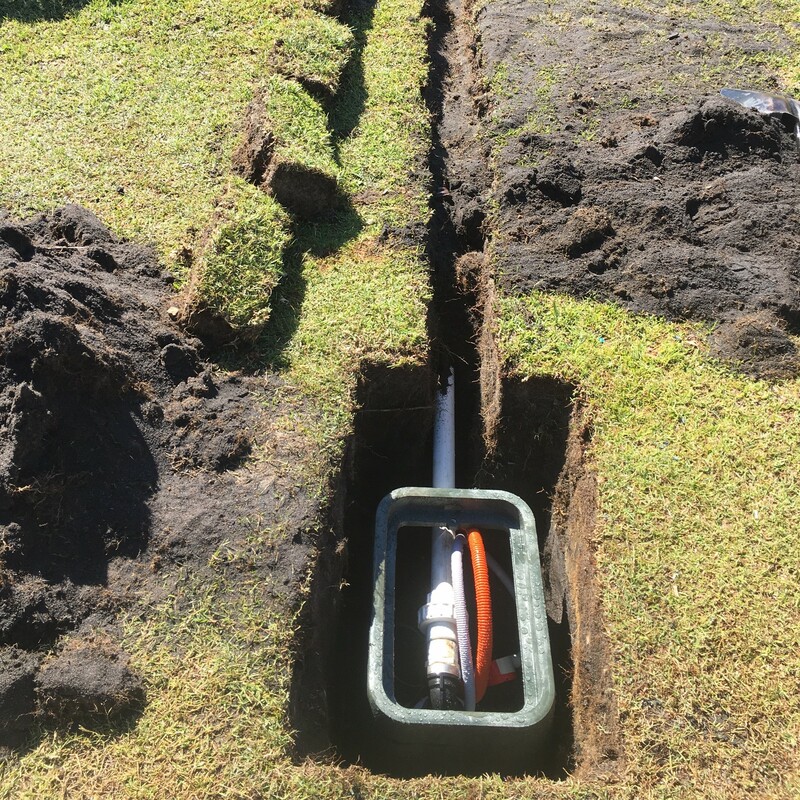 More information on what is required and how we do the pipework connection can be found here How is a bore connected to retic? We then double existing retic stations together if needed to accommodate any extra flow. Finally the bore and your retic system is tested. 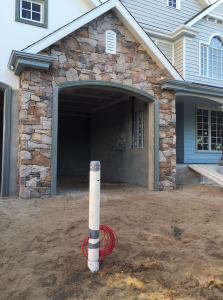 We prefer you to be home for this final step so we can handover and make sure you are happy. We checked back on this lush garden a few months after doing their bore and reticulation. 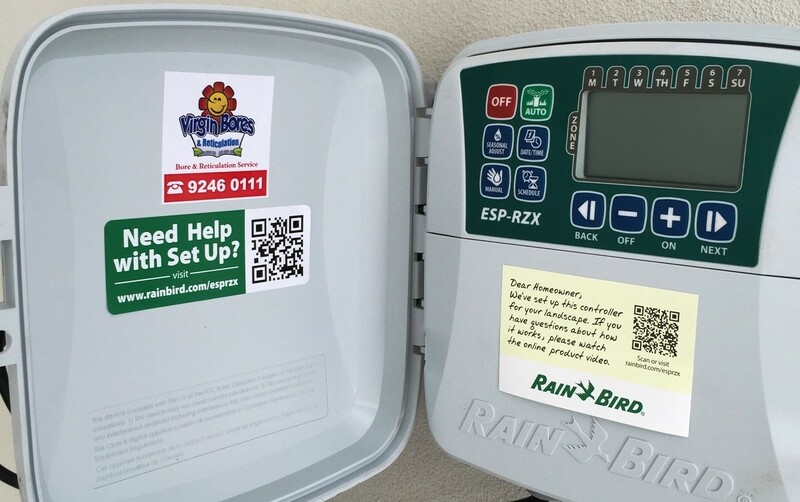 Maybe it’s time to upgrade your reticulation controller. 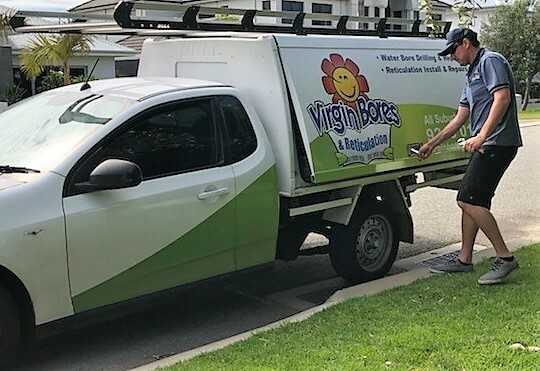 It will save you money to have it replaced at the same time the electrician is connecting your bore. Ask us for a price. 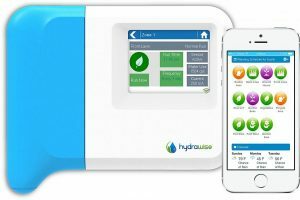 Consider changing to a new internet-enabled WiFi Reticulation Controller that can be operated from anywhere in the world via your smartphone. 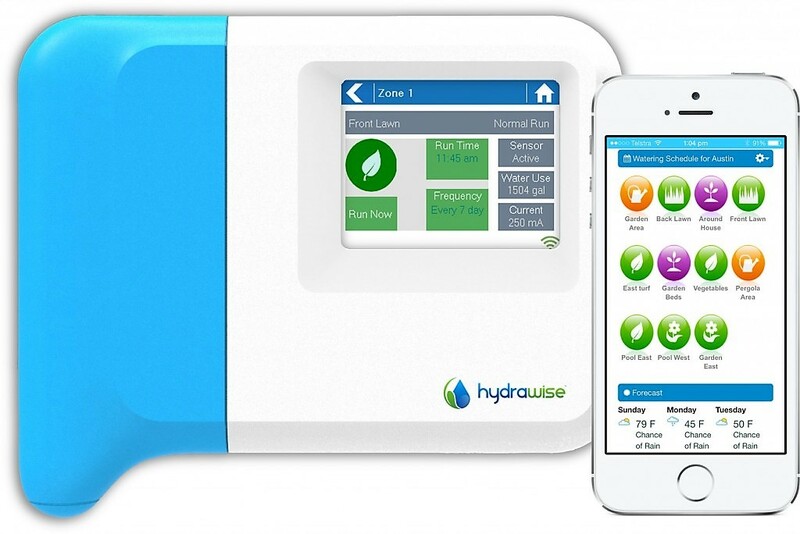 Wi Fi reticulation controller allows you to start your bore from your Smartphone. A pressure relief valve is often fitted on the vertical pipe beneath a tap. Consider a tap connected to your bore. 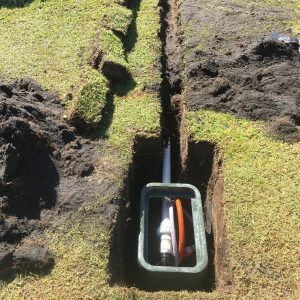 Normally a larger than normal 3/4″ outlet to cope with the greater flow from a bore. 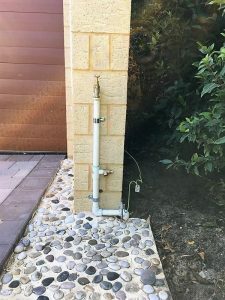 Most often when a tap is installed so too is a brass pressure relief valve. The pressure relief valve is spring-loaded and set to open if there are any mishaps with the bore pump running and the tap inadvertently closed. 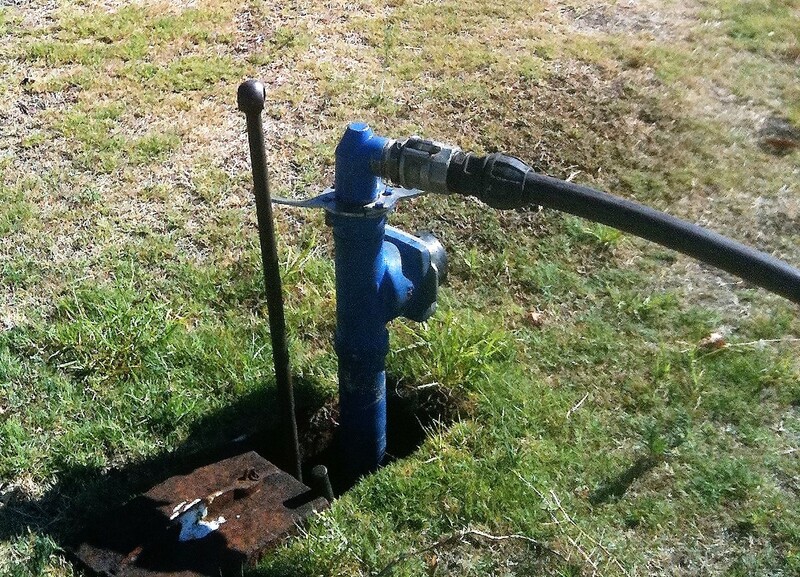 It is designed to also open if the pump is dead-headed for any other reason. 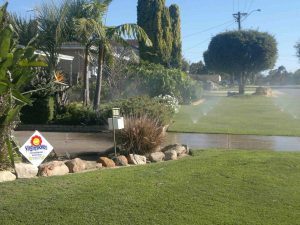 As us about a new reticulation system for your home. We can do you an attractive package deal.